Probably the biggest change and a great achievement for us was finding the perfect rooms and the perfect partnership with Telliskivi Loomelinnak to relocate our legendary Garage48 HUB co-working space. As Garage48 co-founder Ragnar Sass and our superstar HUB Manager Susanne Org were working night and day on the new premises, we quickly realised that the co-working space will be bigger and mightier than before, working and functioning independently and thus the decision to give it a brand new name was made - LIFT99 was born! Despite the new name, our co-working space functions on the exact same values as Garage48 HUB did for 6 years - it is a community built by founders for founders. We have learnt a lot about managing co-working spaces in 6 years and we are excited to see the LIFT99 team (with the freshest addition of Karina Univer, our Event & Community Manager) help 99 startup rockstars to rise to the next level. That obviously doesn’t mean that Garage48 has gone anywhere. 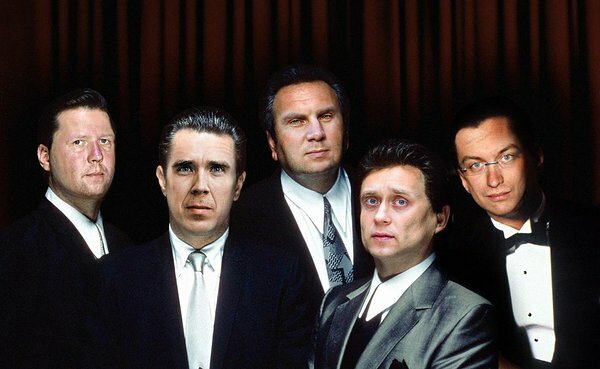 We are still a strong member of the #EstonianMafia family, our godfathers Jüri Kaljundi, Martin Villig, Priit Salumaa, Rain Rannu, Ragnar Sass and our amazing team are working not only to organise great hackathon events but to build a network of talent across Eastern and Central Europe, Africa, Central Asia, Middle East and beyond. Excluding all side projects, we have organised over 70 weekend hackathons in countries from Georgia to Belarus to Uganda to Lebanon to our very own Estonia. We have gathered a lot of experience through unexpected situations (like our team getting kidnapped in Uganda), some funny happenings (like mentors missing the train 3 times in a row), through success and also through mistakes and failures. 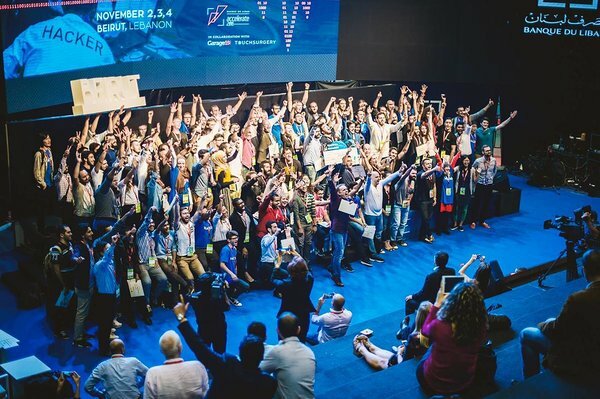 And as we keep on learning with every event, we have honed the Garage48 format to a model that really works - small teams from all over the world have showed amazing results in this unforgiving time frame. Our annual events are the proof how great the results can be when the community comes together. The Garage48 Hardware & Arts hackathon in February, brought together a record number of people - together with mentors and organisers over 200 people. “The event is bringing together tech enthusiasts from all over the Baltics, and Denmark, Norway, Russia, Georgia, Columbia and the USA. Some are returning, some are here for the very first time.” marked Priit Salumaa, our co-founder, back in February. The event is special as it is the very first hardware and arts focused hackathon started in the region and in February it already celebrated its 3rd birthday. The successful names of GoWorkABit, Sorry As A Service, Timbeter and Shipitwise, all have one thing in common - they are all alumni teams of our annual Garage48 Women in Tech event. 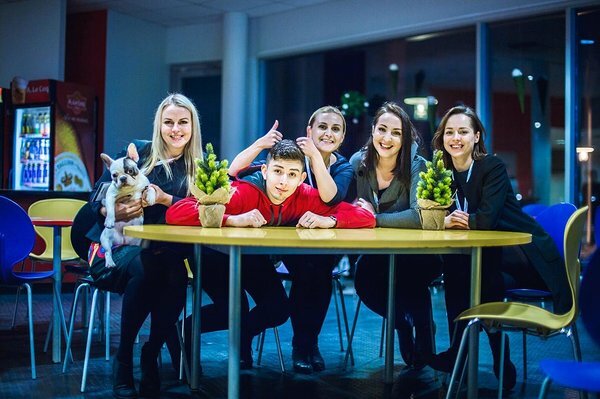 This December it was held for the 4th time in Pärnu to anticipate more gender diverse teams and to motivate more women to challenge their skills in the startup environment. More than 50% of the participants were women, making it the event with biggest concentration of female participants. Regular hackathon events in summer capital of Estonia, Pärnu, have paid off. Already in couple of months time the very first co-working space Forwardspace is opening its doors in Pärnu city centre to encourage local talent to stay in Pärnu and help them get started with entrepreneurship. For the 2nd year in a row Garage48 partnered up with a great supporter Telia. Together with the business accelerator Startup Wise Guys we boosted the VUNK Labs program by organising ideation events and the VUNK Garage48 2016 hackathon to bring innovation closer to the telecom sector. Let's see what the teams will deliver! 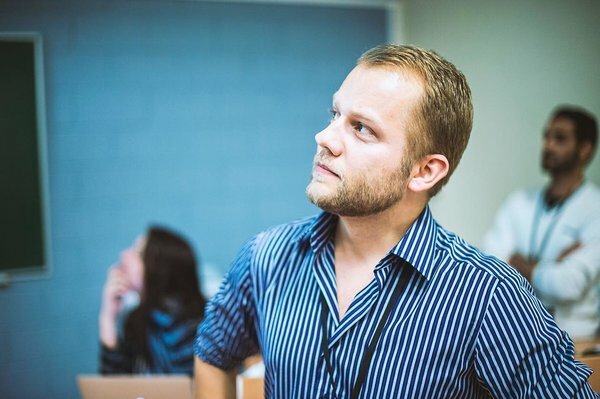 We at Garage48 like to take on challenges that at first seem impossible, too hard or just a bit crazy - we have organised hackathons close to war zones and taken a 100 people to a small island off the coast of Estonia to hack. That also includes exploring new subjects to bring together different fields with the startup mindset. This year we took on the furthest of destinations and went to conquer space. The Garage48 SpaceTech was held in May in Tartu. The idea coming from the brave enough to think above the “what can be done”, Garage48 took the lead to organise the very first hackathon on space technology in the region. “The rising space industry is creating a new environment for next generation entrepreneurs and many of the today's space discoveries are tomorrow in our everyday use,” marked the Estonian space entrepreneur and starmentor Erika Ilves. As another new initiative, the Garage48 Open & Big Data 2016 was held to celebrate data science and the art of visualisation of data. Although loads of data is being collected every day, there is not enough innovative use of it. Fortunately, our participants were eager to get their hands on the data sets provided by the government bodies and our partner companies to bring new and clever innovations to the world. Another goal that will be carried straight to 2017 was to keep experimenting with the Garage48 method, bring it to other fields and formats. With the following events held in 2016, we can announce the developments definitely a success. 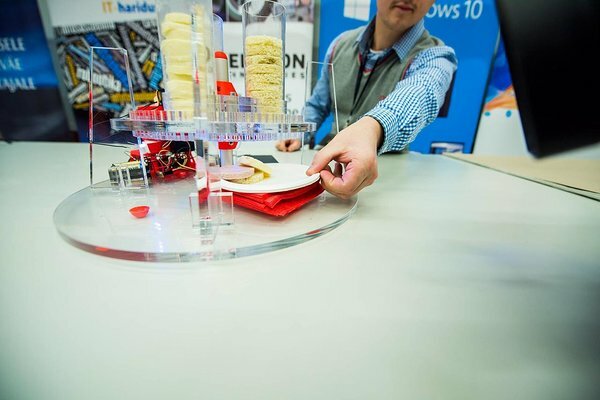 The year was kicked off with a one of a kind hackathon - there was zero lines of code written. During the first ever Garage48 (Analog) Design hackathon the participants were hacking materials like textile, wood, clay and metal. Unsurprisingly, magical things started to happen when entrepreneurial mindset met with the aspiring creative geniuses. The projects ranged from a tasteful solution for storing clothes you’ve only worn for one day to a clever multifunctional bag that is made out of wood and leather. Another format that we have been testing and developing over time is the Idea Garage. It is a 1-day workshop to brainstorm solutions, validate chosen ideas and get them “hackathon-ready”. 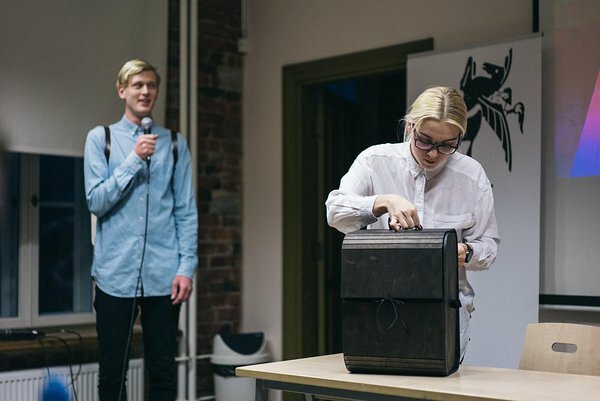 In January, we organised an Idea Garage together with Elisa Eesti business innovation team to find the most promising ideas in the field of IoT for potential development at Garage48 Hardware&Arts hackathon. Elisa invited its most forward-thinking business clients from various sectors, like security, waste management and commerce to find out how IoT can solve their existing real-life problems. Similarly, an Idea Garage was held in October as part of the international anthropology conference Humanise IT. During both of these events the goal was to combine team members of various skills and knowledge and to bring together real life problems with experts in the field, IT specialists and Garage48 mentors and to come up with a list of out-of-the-box ideas. We are also organising mini-hackathons, which is a 90 minute format that is like a time machine going through the hackathon process from coming up with ideas to pitching the concept of a prototype. It is a great alternative for discussion for a workgroup, the idea is to pinpoint the pains and immediately brainstorm a concept for a solution. A mini-hackathon called the Garage48 Innovation Lab was held at the 20th European Eco-Innovation Forum where solutions on the environmental problems were tackled among the European delegates, politicians and governmental representatives. As our goal is to help more and more people to succeed after Garage48 and that doesn’t mean only succeeding with their idea they came to build at the hackathon but also to get great contacts, stay connected to each other and find help and support when they need it. That is why we launched Garage48 Alumni Club at the end of the year and we are excited to start developing it further with the help of our existing community. Initially, the Alumni Club will be an organised follow-up mentoring for our winning hackathon teams and as the next step we want to start connecting together people after the event is done - that means everyone with a startup-founder and a risk-taking mentality from all over our target countries. “The overall goal is to bring together the whole Garage48 team, the participants and mentors of the hackathons,” concludes Rein Lemberpuu the initiator of the idea. For years we have had a very fruitful partnership with the Estonian Development Fund to keep organising hackathons in places like Ukraine, Belarus and Georgia. We bring the international mentors and know-how here to spread the entrepreneurial mindset and to teach the basics of launching a tech startup. We see a lot of potential and talent in these countries constrained by the system, the government, the bureaucracy and so on but we keep on coming back because of the spirit and the can-do attitude of the local people is top-notch. With a goal to visit the regions we went to Ukraine 3 times last year to hold hackathons on machine learning, IoT and gamification. Another one of our longstanding partners is Belarus. Again in 2016 we took a bus full of people en route Tallinn-Riga-Vilnius-Grodno to have an international event together mixing up cultures, skills and languages. Georgia also welcomed us with their endless energy when we held a Student Startup Bootcamp there in April for last year hackathon's winners. We also had the chance to go back to Moldova after a little break, the subject of anti-corruption brought together the whole local community and the winning teams are successfully working on their ideas until now. And last but not least, our awesome team in Latvia organised the very first healthtech hackathon in Baltics with great results to show. 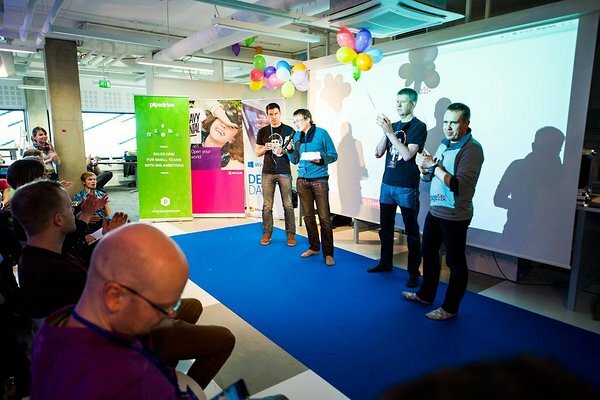 We also had the chance to work on a hackathon that resulted as one of the most special events of Garage48 history. The hackathon, focused on health technology, was held in Lebanon together with the BDL Accelerate Conference. As we got to pick 20 talents from our community to travel with us and participate, the applications started to flood in. It reminded us how skilled people we have but also made it really hard to hand pick the 20 lucky ones. All in all the hackathon was a unique experience with a vibrant energy, top-notch mentors and teams developing real solutions to real problems. 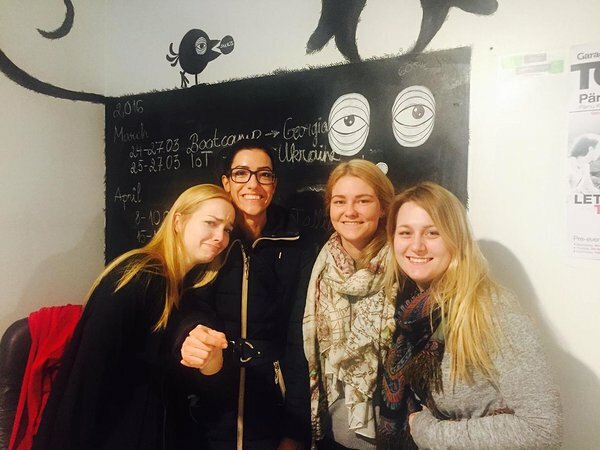 The winning team FacePhysio, an app providing targeted facial muscle recovery, was rewarded with 10 000 USD. There are still places we haven’t visited closer to us as well. In June, we went to Romania to organise a hackathon on e-governance. The event got lots of attention from the local government and despite the crazy-hot weather that weekend it produced great results - prototypes of platforms to activate citizens or to crowdfund money to buy back a painting considered a national treasure. Also by today the government have opened a local HUB to develop e-services for Romania. 2016 was a truly successful year for our alumni startups and we couldn’t be more proud. In spring our Minsk event alumni team MSQRD announced that they have been acquired by Facebook and later in the year another one, Estonian startup VitalFields announced their exit. It is great to see other teams also doing extremely well - Sorry as a Service, GoWorkABit, Shipitwise just to name a few - entering accelerators, raising seed money and reaching new milestones in revenue. Plus they have all been helping us in return, supporting our events, mentoring and sharing their success story. The truth is Garage48 wouldn’t be what it is without the “pay-it-forward” attitude of our whole community. 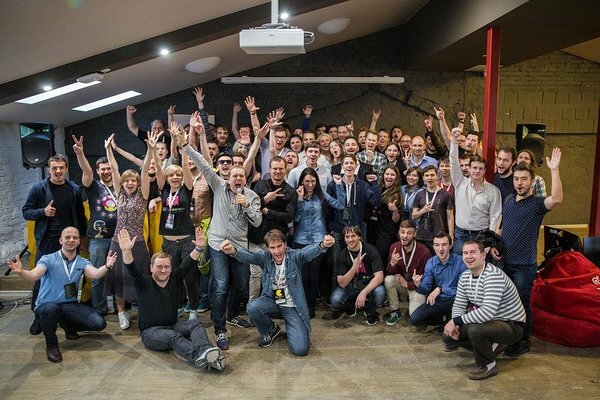 It was great to see our mentors, our founders, our successful alumni and champion entrepreneurs come together for the Garage48 Serious FUN hackathon in April. The participants, busy developing their startups in their daily life, came together for the goal to develop the most uselessly crazy ideas ever. The teams came up with solutions to "serious problems of humanity", like a smart coaster to ask help from a beer bottle, a pair of pants to make music with, getting motivated verbally and the winning solution of the smart placebo pill - a cure for everything loaded on a placebo tablet. Garage48 has a very small core team but a big family of people helping out in many ways. This is our chance to say thank you to all of them - the events wouldn’t happen without all the attention to detail, the dedication put in and the creativity of these people. A special thank you goes to our daily team: Kai Isand, who started to lead the daily operations last year, Merilin Lukk, who joined the team early 2016 and has already become an essential team member looking after our back office, Maarika Truu, who has been with Garage48 from day 1 and among all other things is dealing with our partnerships and Karin Rand, who is the magic behind our finances. 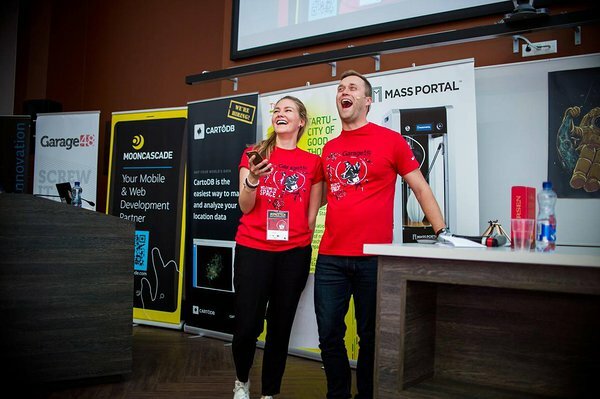 We also want to thank our team and “partners in crime” in Tartu - Karin Sepp and Kadri Kõivik are a powerhouse of productivity leading the local Tartu startup community plus organising Garage48 events as well. Also Oskars Gauks, Emil Syundyukov and Austris Cirulnieks working to make great events happen in Latvia. The core team of our annual Hardware & Arts hackathon, Anu Piirisild, Alvo Aabloo, Indrek Rebane, Triin Liiv, Mariana Raudsepp. Also Krists Avots and Maret Kruve for putting their time and effort into developing the Student Startup Camp format. And of course all the volunteers in Estonia and elsewhere. All of your contribution is crucial - THANK YOU! And as mentioned before, the events cannot happen with the endless energy, willingness to teach and knowledge of our mentors. Here’s a big shout-out to our seasoned mentors: Helen Kokk, Elise Sass, Maret Kruve, Krists Avots, Indrek Rebane, Alvo Aabloo, Martin Rand, Rein Lemberpuu, Maido Parv, Ranno Päi, Andrus Purde, Jaanus Sakkis, Kair Käsper, Veli-Johan Veromann, Martin Grüner, Jaan Kruusma, Andres Susi, Siim Lepisk, Alvar Lumberg, Jordan Valdma, Sven Kirsimäe, Andres Luhamaa, Konstantin Zilin, Martin Verrev, Calum Cameron, Agu Suur, Fred Moritz, Cesar Zeppini, Janika Liiv and everyone who has recently joined the Garage48 mentors family. We like you. A lot! There are so many sponsors we need to thank (as you can see from the long list that follows) but they all need a mention as our appreciation is endless. Most of all we love the people behind these organisations, companies and institutions - you know who you are :) It has been a pleasure to work with all of you in 2016! A big thank you goes to our sponsors Banque du Liban, BDL Accelerate 2016 Conference, Civitta Estonia, Civitta Moldova, Eccom, Elisa Eesti, Estonian Development Fund, Estonian Academy of Arts, Estonian National Defence College, ESTCube, Komeediklubi, Latitude59, Lattelecom, Made By, Massportal, Microsoft, Milrem, Ministry of Economic Affairs and Communications, Pipedrive, Planet OS, Pärnu City Council, Pärnu Entrepreneurship & Development Center, Rhode & Schwarz, SAKU, Skeleton Technologies, Startup Estonia, Telia Eesti, TechHUB Bucharest, Tartu University, Tallinn Technical University, Tartu Observatory, Tehnopol Startup Incubator, Transferwise, Tartu City Council, UNDP, Veebimajutus.ee and all our partners without whom the 2016 events would not have been possible. 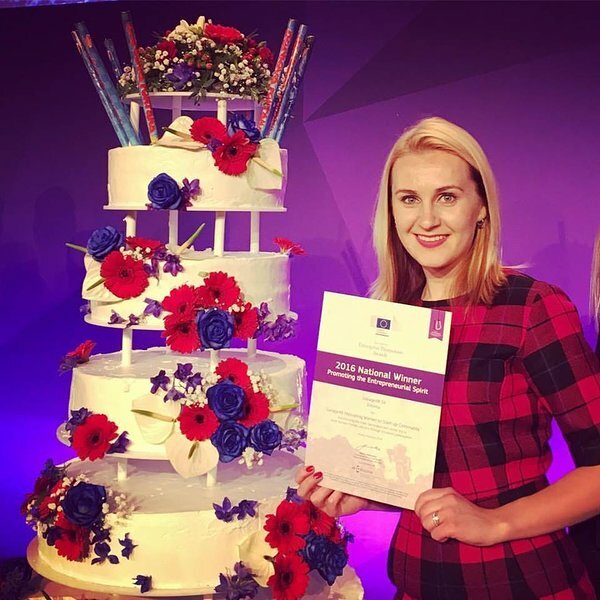 We are super happy to be recognised for our work in development of entrepreneurship in Estonia by the Estonian Ministry of Economic Affairs and Communications as and also to have been the finalist for the European Enterprise Award “Promoting the Entrepreneurial Spirit 2016” during the SME Assembly 2016 in Bratislava, Slovakia. No doubt, 2017 will be even better! Check out and join the upcoming Garage48 hackathon events and local community events at LIFT99. We have lots of surprises in store, so don't forget to follow us on Facebook and Twitter for all the up-to-date news. PS Most of the eye-catching event photos taken by our magnificent Maido Parv.